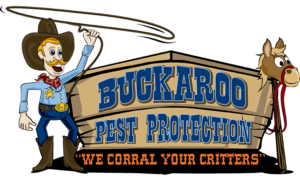 Whether you’re looking to have pest control maintenance done or are in need of having a specific type of critter removed from your property, the professionally licensed exterminators at Buckaroo Pest Protection are standing by to help. Simply complete the service request form below and we’ll respond quickly to set up an initial appointment and determine a pest protection plan that meets your needs. Better yet, using our “A.N.T.S” (Automatic Notification Technology System), our services are convenient for you and your family. Out of sight out of mind. We won’t bug you!